Henry Albert (Harry) Burland was born at Boulder, Western Australia, on 16 October 1901, son of Henry James Burland and his wife Annie nèe Green. In 1931 he married Evelyn Gladys Joyce at Newtown, NSW. He died at Concord Repatriation Hospital after a long illness on 13 November 1969, survived by his widow, two sons, a daughter, and two stepchildren. His funeral took place at St Thomas Catholic Church, Newtown, attended by members of the Redfern RSL, and he was buried as Sergeant Albert Burland in Botany Cemetery. On leaving school, Harry Burland joined the Post Master-General’s Department as a messenger and eventually becoming a telegraphist (Morse operator). He lowered his age and enlisted as Albert Burland in the Signals Unit in October 1939. He served with the 6th Australian Division in the Middle East and elsewhere in World War II before being medically discharged in 1943. He returned to the Chief Telegraph Office in Martin Place Sydney where he worked until his retirement. He was a long term member of the Australian Labor Party. With his wife, Burland took an active interest in the establishment of many of Council’s Welfare Centres. He was an active member of the Returned Servicemen’s League and was Welfare Officer for the Redfern RSL Sub-branch. He also supported all the youth organisations in his Newtown community. He was a tireless worker for senior citizens and was instrumental in the erection of an amenity hall in King Street Newtown, subsequently named the H A Burland Senior Citizens Centre. Harry Burland was Alderman for City Ward from 1 December 1956 to 13 November 1967. He was Deputy Lord Mayor in 1962, 1963 and 1965. He was a member of the Works Committee, 1957-67 and its vice chairman in 1960. 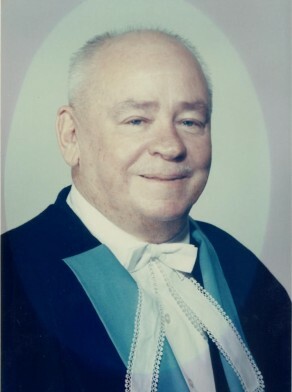 He was a member of the Health and Recreations Committee from 1957 to 1967 when he became its vice chairman. He represented the Lord Mayor on the NSW Board of Health from 1963 to 1967. He was also a well-known and respected member of the Australian Labor Party. Burland was an Alderman for the Municipality of South Sydney, 27 September 1969 until 13 November 1969 when he died.